Connections of brilliant Dewhurst Stakes winner Too Darn Hot aren't fretting over his ability to step up in trip next season. The John Gosden-trained Dubawi colt, out of top-class race mare Dar Re Mi, took his perfect career record to four wins from four starts when landing the Dewhurst at Newmarket on Saturday. He seems to have extraordinary speed. That's not to say he won't stay beyond a mile, because obviously his first race at Sandown was over a mile. Frankie Dettori's mount looked to be in some trouble entering the dip on the Rowley Mile, but he soon organised himself and surged well clear of his rivals with a deeply impressive display. Too Darn Hot is now 4/1 to return to Newmarket next spring and land the 2,000 Guineas, where he'll step up to a mile, likely for the first time in his career. Simon Marsh, racing manager to owners Lord and Lady Lloyd-Webber, feels the mile trip - and a bit further - will be no concern for the exciting colt. "He seems to have extraordinary speed. That's not to say he won't stay beyond a mile, because obviously his first race at Sandown was over a mile," Marsh told Racing UK. "I think as he develops he will probably stay further, but he does have incredible speed. "We will obviously have to see next year when he has matured from two to three and how he goes through the spring, but I wouldn't see there would be a problem up to a mile and a quarter." 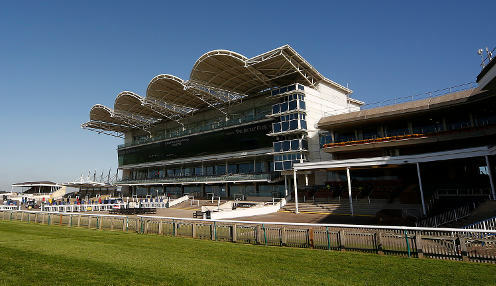 Victory in the Guineas would raise the possibility of running in the Derby at Epsom, a race Too Darn Hot is 6/1 to win, though Marsh is less circumspect in suggesting he would stay the mile and a half journey. "He's galloping out in his races so well. At Doncaster it took Frankie (Dettori) about half a mile to pull him up and (at Newmarket) he galloped out way beyond the line, so I don't think there's any reason to believe he won't stay at least a mile and a quarter. Beyond that, we'll see," he added.